Alright, first off I want to say I got this book for review through a traveling book tour, Southern Book Bloggers sent me this book for my honest review. So that is exactly what I always give when I review so this time will be no different. I got this book for review a little while back and its taken me this long to review. Mainly because I had no clue how to start this book review out. But I'm going to try to get the words right on this post. I asked to review this book through the tour and was actually really excited to read it. It sounded great when I read the synopsis. Well was I totally wrong. I started reading this book and at first I was in to it and I kept on reading and it got harder to read it. Not because of the subject matter, no because the the way the author was telling the story. At some points I understood and could keep up and at other times I was so lost. I really wanted this book to be good, I really wanted to enjoy it, but I simply couldn't do it. I will say I did like reading about the culture in this book though, but that's about it. 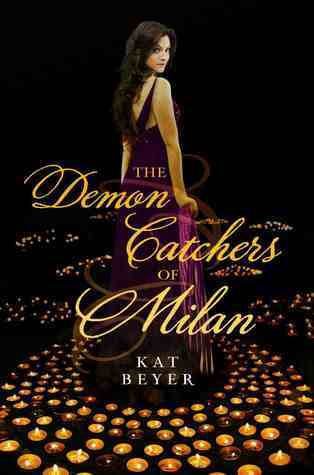 The Demon Catchers of Milan, didn't hit it out of the park for me. I'm not sure if I will even try to read the next book in this series. But, I think you should, if you want to, try it and see if you like it. Like I say all the time...Not every book is for every person!